Maybe I am naive, but I am shocked at this. Don’t wildlife biologists worry about disease transmission when they do these kind of transfers? Don’t they quarantine or at least rigorously test for the presence of such a disease? I mean,hell, this is fairly predictable isn’t it? It isn’t like they suddenly came down with HIV or some other unexpected disease….Any vets’ out there in DWR land? I don’t think anyone knows whether the disease was already in the sheep or whether they contracted it there. They do test for disease but there may not be enough time to finish the tests before the sheep are released to read the tests. No evidence they got it in Utah….no domestic sheep in the area,,,and they are killing the imports to keep the native wild sheep from getting it. Seems to me greater than 90% certainty this is a Montana disease that was brought south. What about goats or llamas? It seems to me that the state of Montana needs to do some testing on their sheep populations. This could get out of hand. Part of what seems to be going on is that there is no coordinated, federally controlled body that oversees this stuff. Each state, under some loose WAFWA umbrella, goes about its ways. And when we have people from the University of Idaho Caine Vet lab to this day still denying that disease comes from domestic sheep and covering up for ranchers, that further complicates the picture. There needs to be federal oversight on this all. Too much room for politics, pressure to move the sheep because it is such a big positive thing with hunters, etc. 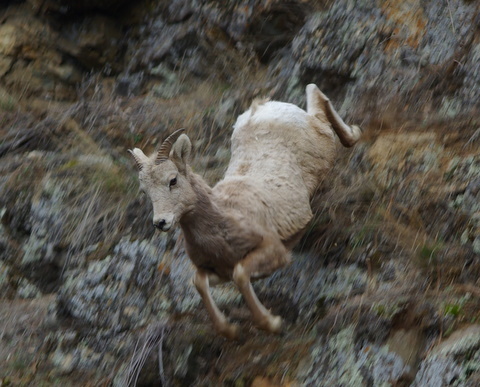 Clarifying the last part of my comment: Pressure to move the bighorns, once caught, because of various expectations, publicity, etc. And biologists likely do not want to keep the animals confined too long.